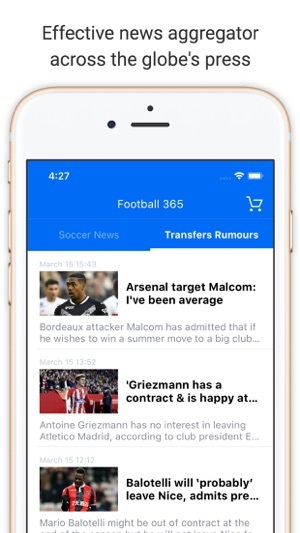 Real time access to all Footy breaking news – Simple and easy to use this is exactly what you need to keep up to date on-the-go! 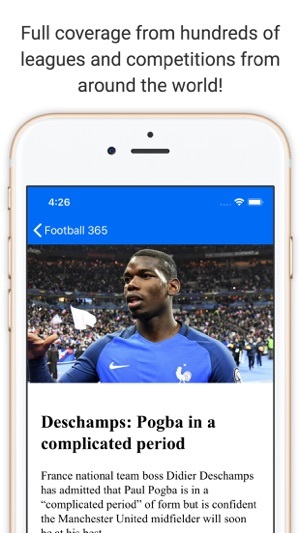 Full coverage from hundreds of leagues and competitions from around the world, including the English Premier League, La Liga, Bundesliga, Serie A, Ligue 1, Champions League and many more! 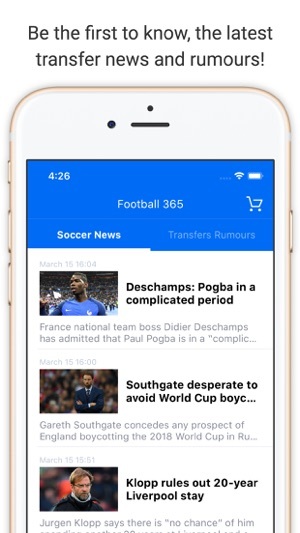 Truly international site that prides itself on breaking news – be that actual news or speculation – and is always lively and fresh. 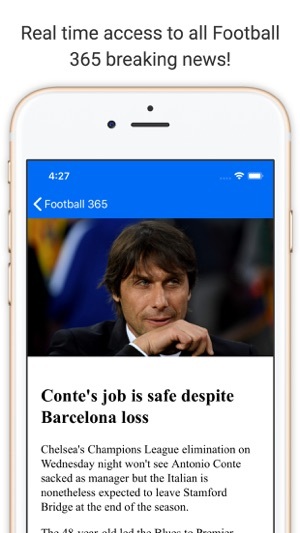 Comes into its own in the build-up to and during transfer windows, acting as an effective news aggregator across the globe's press, with a particularly strong take on movements across European . 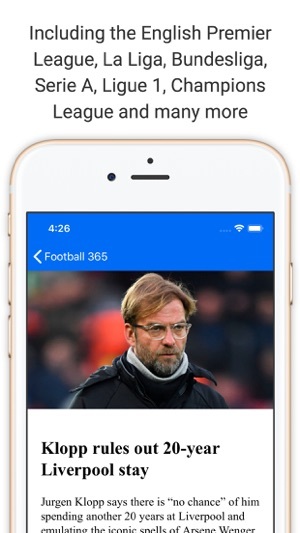 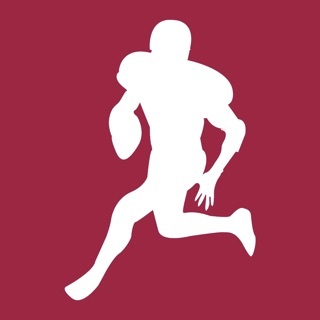 • "This app is great, 9 times out of 10 I get updates from Football 365 before the ESPN app."